This was a fun card to make. I am not an accomplished colorist yet, but I hope to improve with practice and education. If you are interested in improving your coloring/art techniques it would be to your advantage to look up Lachri Fine Arts on YouTube. She is a professional artist and you will learn a lot from her instruction. 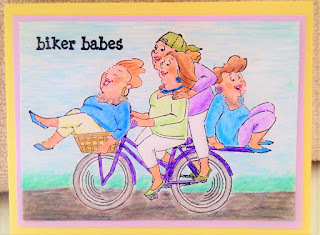 I used Faber-Castell polychromos pencils to color these fun loving ladies and blended the colors with odorless mineral spirits. The stamp is by Art Impressions. 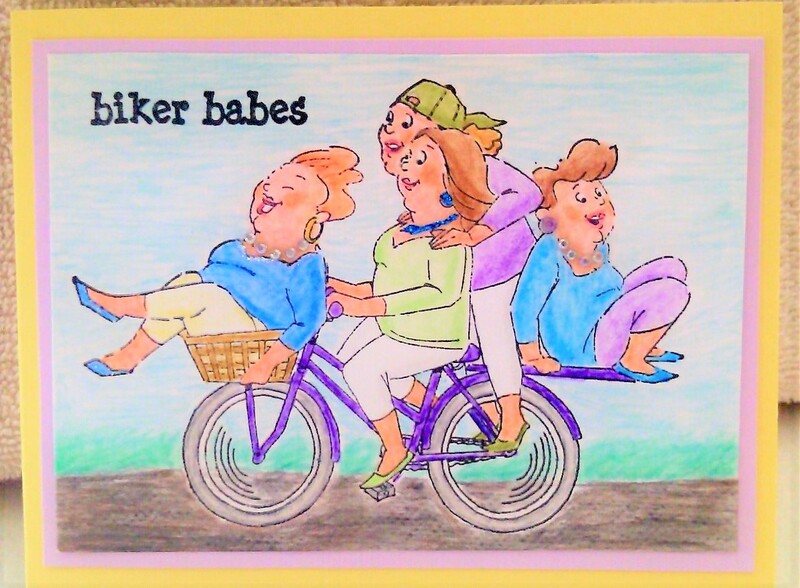 The lady doing the peddling must be in great shape!